(Natural News) Taking aspirin regularly to keep heart disease at bay may do more harm than good, according to a recent study. Researchers at the Southampton University in the U.K. and the Maastricht University in the Netherlands found that daily aspirin intake may lead to increased odds of heart attack. Researchers examined 30,000 patients with atrial fibrillation – a condition characterized by rapid and often irregular heart beat – and found that patients who took aspirin on a daily basis were 1.9 times as likely to suffer an acute heart attack compared with those who took warfarin, a vitamin K antagonist. “Oral anticoagulant treatment with vitamin K antagonists has been the cornerstone for the prevention of stroke in patients with atrial fibrillation for decades. We identified an … increased risk of [heart attacks] among current and past aspirin users in comparison with VKAs. There also exists doubt about the usefulness of aspirin in atrial fibrillation. 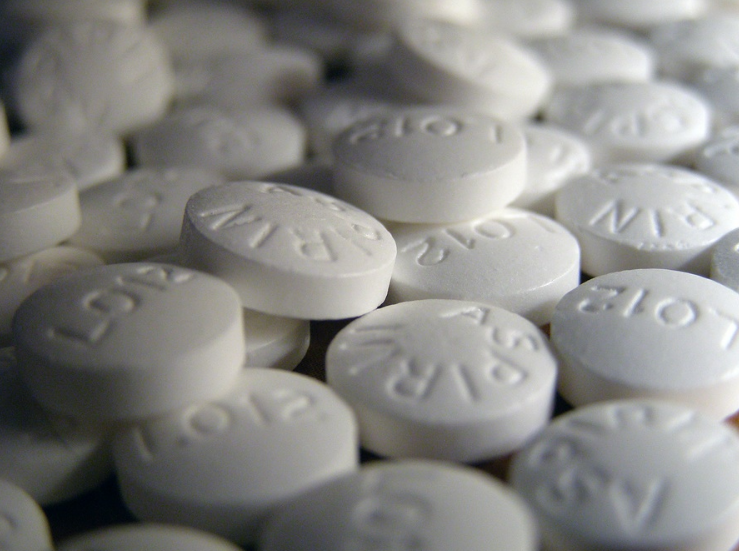 In new guidelines aspirin is no longer included,” said study leader Dr Leo Stolk. The study also revealed that a class of drugs called direct oral anticoagulants were also tied to increased odds of heart attack in patients with atrial fibrillation. The results were published in the British Journal of Clinical Pharmacology. The researchers inferred that painkillers such as aspirin and ibuprofen may increase water and salt retention, thereby resulting in higher blood pressure levels. Patients should consult their physicians or pharmacists before taking painkiller to fend off respiratory infections, the researchers cautioned. “Physicians should be aware that the use of NSAIDs during an acute respiratory infection might further increase the risk of a heart attack,” said study leader Dr. Cheng-Chung Fang from the National Taiwan University Hospital. In a related statement, Dr. Charlotte Warren-Gash of London School of Hygiene & Tropical Medicine said that both medical conditions and preexisting diseases should be taken into account when health care practitioners prescribe painkillers to address respiratory infection. The findings suggest a correlation between painkiller use for respiratory conditions and increased risk of heart attack in patients. However, the results do not demonstrate a causal relationship between the conditions, researchers said. More research is needed to clarify the apparent link between painkiller use and heart attack, and how the condition can be effectively managed, researchers added. The findings were published in the Journal of Infectious Diseases. Another study revealed that regular aspirin intake did not decrease the likelihood of suffering heart attack in at-risk patients. Scottish researchers found that high-risk patients who took aspirin on a daily basis had a similar stroke and heart attack rates as those who were on placebo treatment. The results were published in the Journal of the American Medical Association. About three years ago, Bayer AG requested to label aspirin as a heart attack prevention drug. This was later denied by the FDA, basing its decision on the 2010 Scottish study. The FDA has also cautioned patients taking aspirin with blood thinners. Other serious adverse effects associated with aspirin intake include internal bleeding, peptic ulcers, asthma, and kidney disease.